As you can see, it's a very tall, skinny book, just perfect for showing the growth of the houses as they continue to extend further and further up. As you can see the houses are each on the verge of hitting the top of the book, which (personally) makes me flip the pages faster to see what happens when the two homeowners can't continue to build up. The book has an interesting message about the preservation of land, and the unnecessary lavishness that is destroying the environment. 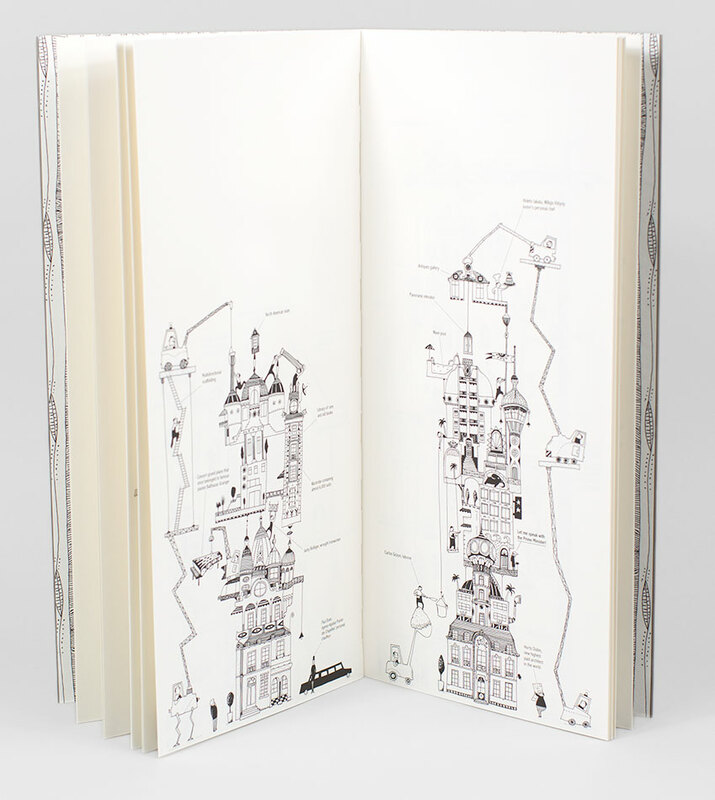 There is a sort of cyclical feeling as the book opens with leafy endpapers, goes through an intense amount of building, and then ends with yet another focus on nature as boars roam the toppled houses and bring back whatever they find to a boar colony in the forest near the houses. I find everything about this book to be almost perfect. A definite keeper!! Other books the duo has worked on together are Line 135 and Little Bird. I briefly mentioned the later in my last post as a great example of using primary colors in illustration. 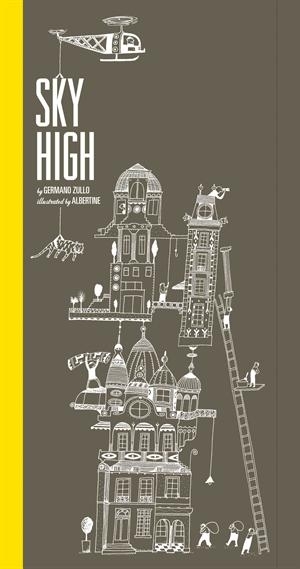 Both books text and color sparingly, utilizing the colors to highlight the most interesting and important aspects of the illustrations. 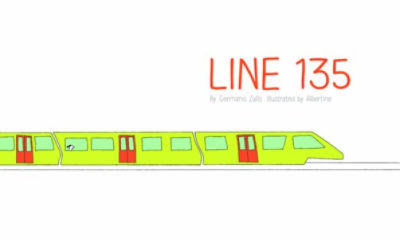 Like Sky High, Line 135 has a unique shape and feel to it. 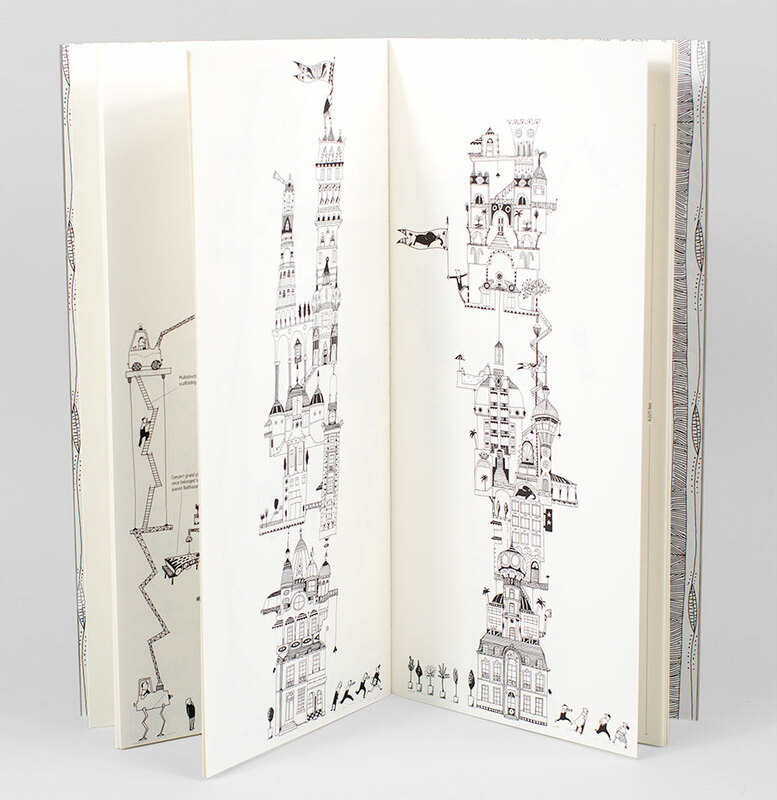 Rather than pulling the eye up, though, Line 135 pulls you across the page and over to the next spread, encouraging readers to follow the literal and metaphorical lines of the book to its conclusion. "A man drives his truck up to a cliff's edge. Unable to go any further, he opens the back door of his truck and a flock of birds flies out, but, as the man soon discovers, a small timid bird remains. Surprised and delighted, the man acts kindly towards the bird and an intimacy develops. After lunch, the man tries to show the bird that he should fly off and join his friends. The man's comic attempt at flight deepens the encounter between these two very different creatures. 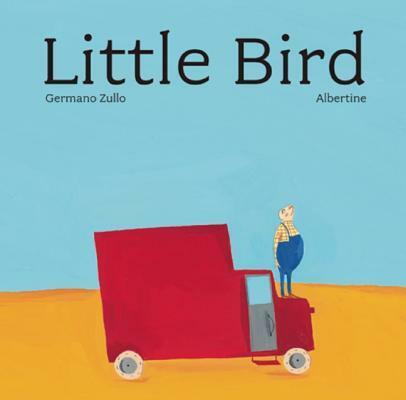 Soon the bird flies off and the man drives away, but in a surprise twist the bird and his friends return, and in a starkly lyrical moment we see them all experience something entirely new." The two do such amazing work together, including a whole host of books in other languages. They are perfect in their sparse text and big messages, and hopefully they will work together for a long time to come!